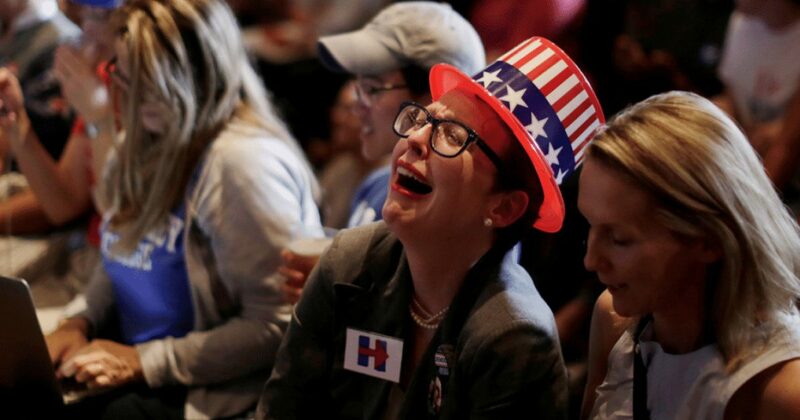 When you consider all of the wonderful things that have happened in America and across the globe since the inauguration of President Trump, you have to wonder what kind of moron could find fault with ISIS being crushed, North Korea being defanged, huge tax cuts, a booming economy, the lowest unemployment in decades, energy independence finally, our trade partners negotiating new, America-First agreements, our manufacturing industries coming back to life, businesses and jobs returning to America, a stronger military, etc., etc., etc., etc., etc. Yet, to be sure, there are millions of those morons out there who would rather their children starve than for President Trump to receive a word of credit for the unquestionable success of policies that he, himself, campaigned on, and began to implement immediately upon swearing, “So help me, God,” and which have led to unprecedented prosperity, strength, and global respect in, of, and for America. And, all this time we thought that they are simply spoiled brats. Even talking heads have joked about the Trump Derangement Syndrome of the horribly afflicted liberal weenies. Well, they are spoiled brats, but it’s worse than that. They also suffer from what has now been clinically diagnosed by many therapists as a very real anxiety disorder that the mental health community has labeled “Trump Anxiety Disorder.” No kidding, its a thing. Definitions of Trump Derangement Syndrome, which therapists have now relabeled “Trump Anxiety Disorder” from Urban Dictionary…. When the truth is deem unrealstic, one may fabricate a story so he or she can better swallow it. Person 1: Yo man, did you see what “The New York Times” wrote about Trump? He called immigrants “animals”. My favorite definition, also from Urban Dictionary…. CBC News explains the newly named Trump Anxiety Disorder here, accompanied by a Twitter thread (excerpted below) where the poor afflicted swarmed to contribute a sample of their personal brand of Trump hatred. So, when you are enjoying an evening out at your favorite bar or restaurant and an unfortunate TAD victim suddenly drops to his knees in the middle of the establishment and begins wailing at the top of his lungs, damning his tax cut or complaining of making too much money, don’t laugh. Pity him. Then, when the men in the white coats come to take him away, laugh all you want and enjoy a swell evening and the new America. That's just the pizza trying to escape. Nobody or no thing wants to be around you deranged Trump-haters for very long. Furthermore, nary a Yank gives a doodly what Canucks (who elected the likes of The Eyebrow) think about our prez or anything else! YOU, an attention whore, shameless opportunist, and incompetent F-class attorney, want to talk about role models? REALLY? Two words…. Stormy Daniels. Yo, meathead, you are in for another day of misery and despair come November 7. YOU are the poster boy for Trump Anxiety Disorder and the cesspool we know as Hollywood.